The perfect ring for lovers of big unique silver pieces! This statement ring is adorned with clusters of seven tiny pods, giving you the chance to enjoy nature wherever you are. 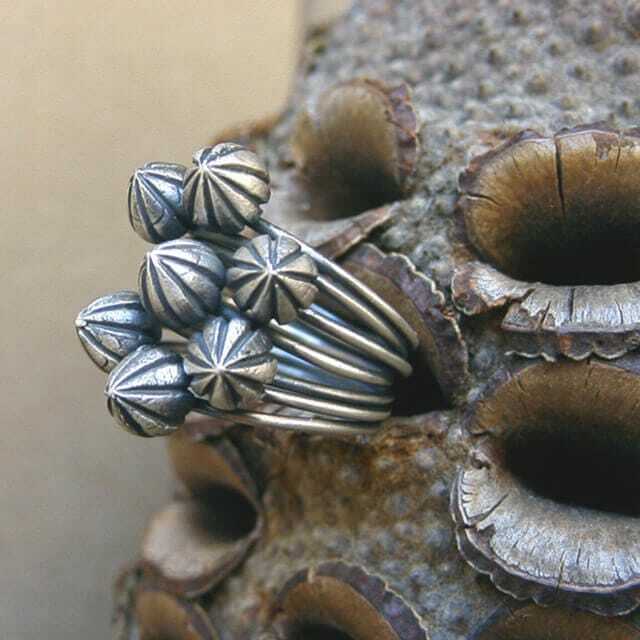 Choose from a group of 5 delicate seedpods made in oxidised silver, each balanced on its own individual silver ring. Or go big with 7 pods to create a standout beauty that will bag you even more compliments. Edinburgh-based jeweller Christina takes her inspiration from all kinds of natural forms – trees, vines, berries and buds – and enjoys translating them into unique wearable craftworks.